American gyms in Iraq are excellent. Whoever selected the gear and outfitted these facilities deserves accolades. Maybe the gym-outfitters are in a top-secret Pentagon office called GYMCOM (Gym Command), where people meet to discuss GYMOPS, and its effects on troop readiness and morale. On this base in Mosul, the gym is so well outfitted that if it were in Chicago, I imagine it might cost members a couple hundred dollars per month. But here it’s free. “Two splashes on the airfield,” I said. The Battle Captain turned back to another sergeant, saying “You got the POO?” and the sergeant began reading off the coordinates where the two mortars were fired from . 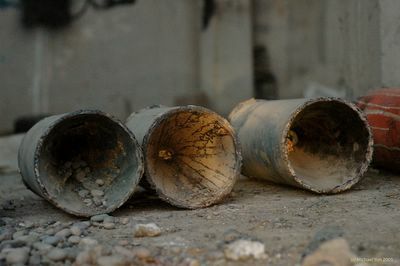 . . and it turned out these were not mortars, but rockets. A difference with distinction. Our bases have something called Counter Battery Radar (CBR), and when a mortar or rocket is launched, the computers on the CBR can calculate the POO before the bomb lands. The enemy knows this, and they know we can fire “counter battery” cannon or mortars, or that we might have jets and helicopters just moments away, or forces on the ground nearby. Lately, Iraqi police have joined the list of options for killing mortar teams. It’s increasingly dangerous to be a terrorist here. The CBR is effective. The enemy shooters can only strike briefly. If they take one extra shot, or take a few extra seconds scrambling away, they will die. 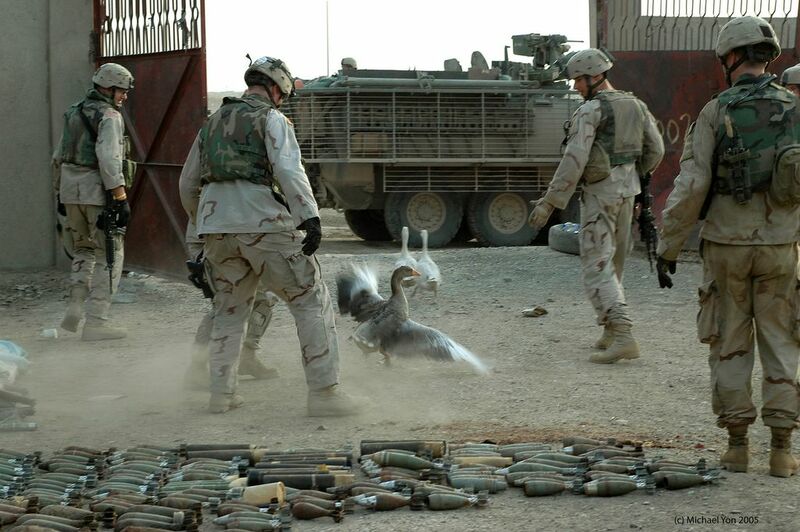 Our cannons, our helicopters, US soldiers and snipers, the Iraqi police, or some combination of these, will kill them. As frustrating as it can be to have an enemy firing two or three round volleys at Coalition and Iraqi forces, the fact is we can take those punches. It helps knowing that every time an insurgent sets up he’s like a buck drinking at the river. Our hunters are always looking for tracks and laying ambushes. Sooner or later, bam! Head on the wall. Part of the persistence of the insurgency results from a staggering availability of fighting materials. 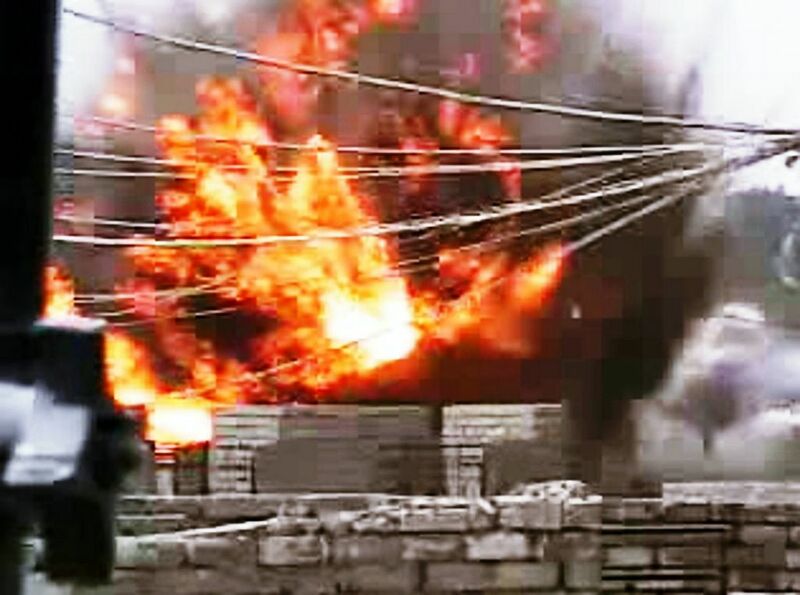 There are tons of explosives and munitions here in Mosul, with more streaming in every day, though mounting evidence strongly suggests this flow is abating. 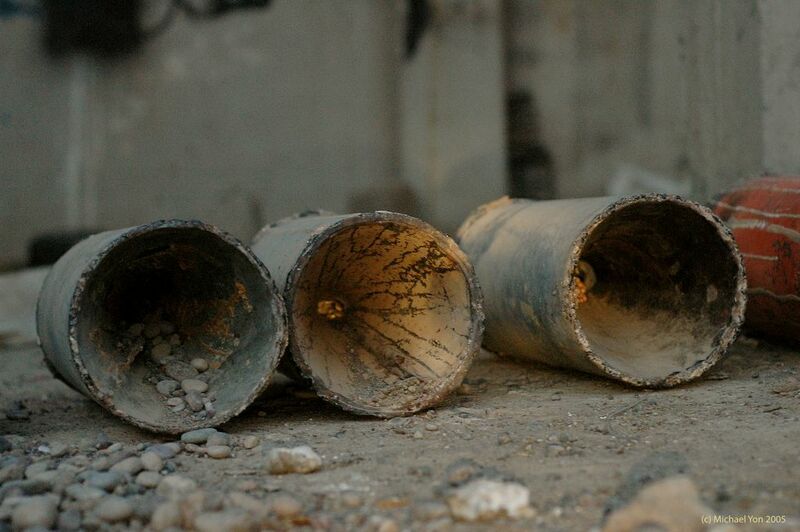 For example, the street price of 60mm "mortar bombs" was about $3/shot 9 months ago. Now it’s up nearly seven-fold to over $20. Car bomb incidents in Mosul, while still causing major damage to both military and civilians, have been declining. Whether this is a temporary dip or steady trend remains to be seen. Even if the ongoing flow were completely cut off, there is still a deep well of materiel on hand. Stemming the flow of munitions has been an ongoing challenge, one that’s been met with varying degrees of success. It begins with intelligence about how material moves in and out of a city. Mosul has 34 “major” land routes, consisting of 11 roads and 23 “rat lines.” The so-called rat lines are usually no more than hard-packed dirt trails, but they are navigable avenues into Mosul. Throughout human history, civilizations have built walls to keep people out—China—or keep people in—Soviet Union—or to funnel people: The Americans built a wall in Vietnam to canalize the enemy. Apparently none of these walls sealed the borders as hermitically as their architects envisioned. In fact, the only reliable thing about most walls is that people will get past them. “Why did you build a berm around Mosul?” I asked. Those first few seconds, while lacking much in the form of any concrete answers, were nonetheless telling. Some of the officers shifted about, and there was blinking and hesitation before the answers came, haltingly. And there was the "Well, throughout history, walls have not been very effective . . . any obstacle is only as good as the man guarding it.” One fact emerged: the “wall” was a contentious subject. But it was also clear that the berm was never meant to hermetically seal Mosul, but rather to canalize those 23 ratlines. People hauling munitions might be more apt to attempt the 11 main roads, and when they cut channels through the berm, they will telepath exactly which avenues are smuggling routes. According to one of the greatest inventors, Thomas Edison: “Just because something doesn't do what you planned it to do doesn't mean it's useless.” Some highly-respected and heavily-credentialed people thought Edison was a failure every time his electric lightbulb only flickered. A couple days after those rockets landed on the airfield as I was leaving the gym, there was another Karummph. So I headed to the TOC and there were more Karummphs. The Battle Captain asked a sergeant, “Do you have a POO?” and the men in the TOC were checking what assets were nearby to deal with the shooters. More Karummphs as mortars arc onto the base. Usually there are only two or three incoming, but these guys kept on firing, and so the top officers and sergeants ran out to see if soldiers were being hit. The best way to find the battalion commander and sergeant major of Deuce Four is to start shooting at their soldiers; the leaders here will run straight into the line of fire to check their men and rally for the fight. And so the colonel ran out with Sergeant Major Prosser—neither were wearing helmets or protective gear—and they headed straight for the Karummphs. This type of attack is the second leading cause of injury and death to American soldiers in Iraq. I was winded trying to keep up. Finally the eleventh Karummph was the last, and none of our people were hurt. And so day turned into night back into day and into the night again. That night, Deuce Four ran four simultaneous raids. 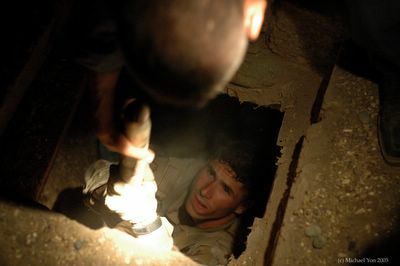 In one raid, B Company approached a house belonging to a terrorist involved in complex and ongoing attacks, including a devastating ambush that killed over 25 Iraqi commandos in November. The Stryker platoon, led by LT Lucas Kerr, isolated the block around the target house. Intelligence indicated that the terrorist had emplaced holes and firing positions in his home. With nighttime temperatures exceeding 90 degrees, many Iraqis sleep on their roofs to keep cool, making it difficult for us to sneak up during the summertime. Nearly every home in Iraq has an outer wall, so the soldiers parked the Strykers a distance away to isolate. The soldiers had silenced their gear, team leaders and squad leaders checking their men by making them jump up and down until they could hear only boots hitting the concrete. The men slipped out of the Strykers and crept quietly through the darkened streets. The source for this target failed to tell the platoon that the outer wall also had strands of barbed wire on top; but the squad climbed the outer wall, and about eight soldiers from SSG David Nieradka's squad had made it quietly over when perhaps the terrorist heard tink, and knew that trouble was paying a visit. He pulled the pin on a hand grenade and tossed it at the soldiers, but only the fuse exploded; the rest of the grenade was a dud. He began firing a 9mm pistol and got off two shots before he was hit by a fulisade of bullets from SSG Nieradka's squad, and fell dead. Separately, in an undercover operation, the Iraqi police detained four men whose kidnapping cell had abducted the 28-year-old wife of a Mosul journalist. This group was known to behead their victims, holding the world vicariously hostage with their crude cinemtography. This raid was interesting; information had recently come in that the terrorists were plotting to kill a journalist here in Mosul, and some officers believed the target was me. There is an interesting aside about a spy that Deuce Four detained who was actively trying to persuade me to visit what he described as a "safe" place in Iraq. 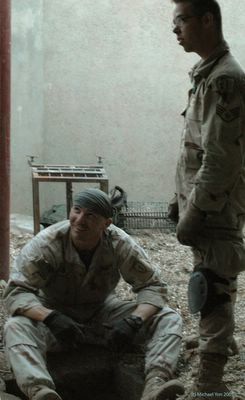 While he is now in Abu Ghirab, I am still with Deuce Four, both of us "safe" for the moment. The apparent target of these four assassins was the Iraqi journalist whose wife was kidnapped and later rescued by the Iraqi police. And now those same kidnappers were nabbed by a police force that has little difficulty extracting information from people. 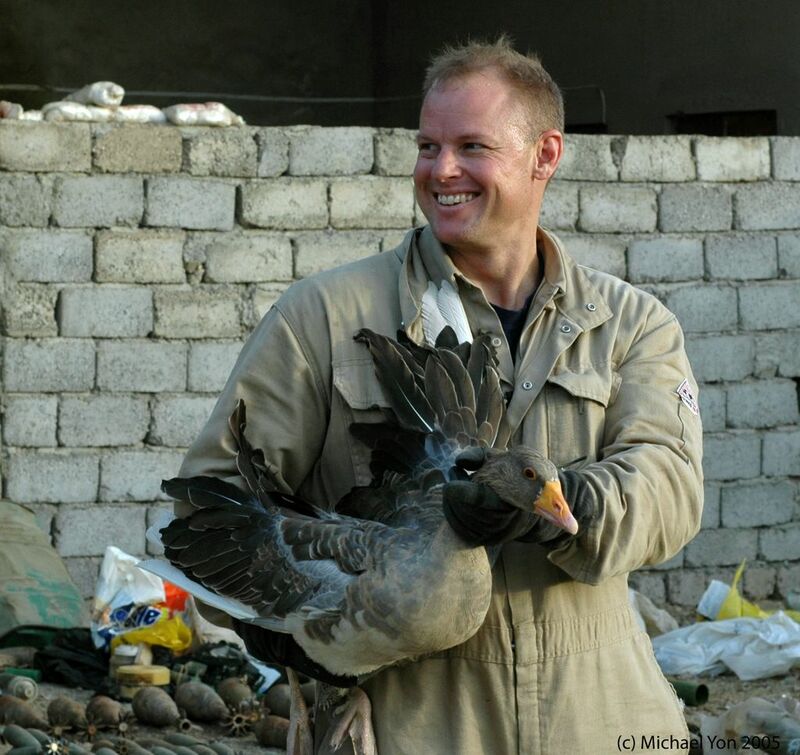 I heard one American captain at the police station say that the kidnappers were “singing like birds.” That night, the Iraqi police shared information about a gigantic weapons cache, and hours later they joined elements of Deuce Four in a raid on that target. Midnight had come and gone, while I sat in the TOC watching and listening to the raids unfold on the screens. 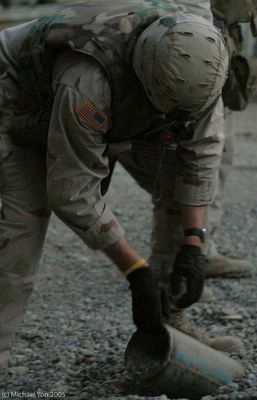 Major Mike Lawrence, the operations officer, was communicating with his various commanders downtown when the word came back that the cache-information was real. Not only was it real, but enormous. 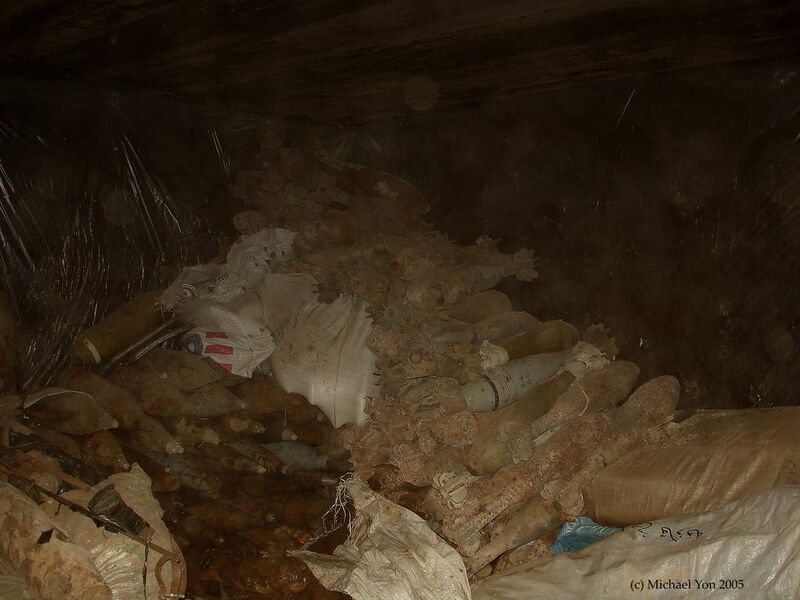 Anti-tanks mines were hidden in couches, tons of explosives were hidden underground. 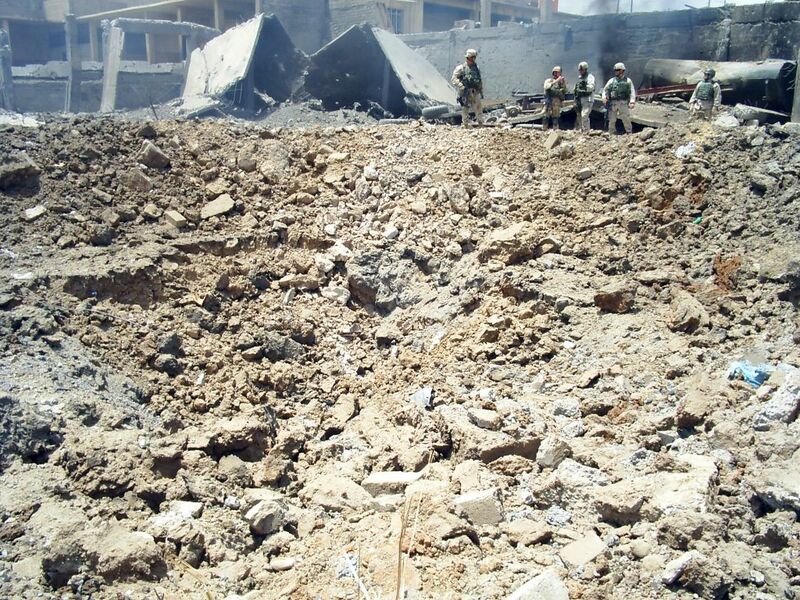 There were surface-to-air missiles and pre-fabricated IEDs, like the one that nearly killed my neighbors last week. And they were just starting the search. It was now 3 a.m. and I was riding in a Stryker heading downtown to the weapons cache. We knew it would be a long night and even longer day as no one had slept and the size of the capture was growing with each radio call. When we arrived at the target, the Iraqi police were getting tuckered out; after all, it was about 4 a.m. and they had been working all night. So they quickly said goodbye, and melted off into the darkness with a duck under each arm. Nobody was sore that the police left us to unearth tons of dangerous munitions. To put it in perspective, just some months ago there really weren’t any Iraqi police because the insurgents were beheading them. Knowing they are still the primary targets for terrorists, seeing the police now squeezing suspected insurgents and raiding their nests, everyone was happy to see the Iraqi police scoring victories day after day, though this was by far the biggest I had seen. 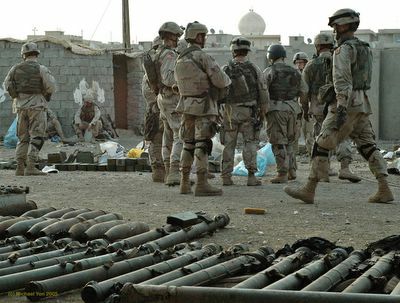 43 Americans and 55 Iraqi Police killed in Giant Cache Blast: City Block Leveled. The skies are darkened with black smoke after a giant explosion killed dozens of Americans and Iraqis. 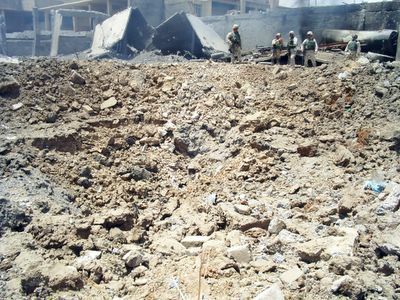 The cause of the blast is unknown, but is believed to be related to a large amount of captured munitions. The explosion caused dozens of rockets, artillery and mortar shells to hurtle hundreds of yards, sparking fires in numerous locations, setting a gas tanker ablaze. As the burning fuel ran downhill, dozens of blocks of homes were scorched. The death toll is sure to rise. Local citizens are furious at the Americans for causing the massive explosion. A US Army spokesman said that a team of investigators will arrive today and declined further comment. “Hello” in local dialect apparently means, "Hello; Goodbye; Thank you; You’re welcome; I surrender; Do you want tea?" And so as they disappeared the cops each said, “Hello,” and next, “Hello,” and so on until all of them had melted into the darkness with their barnyard animals and new weapons. 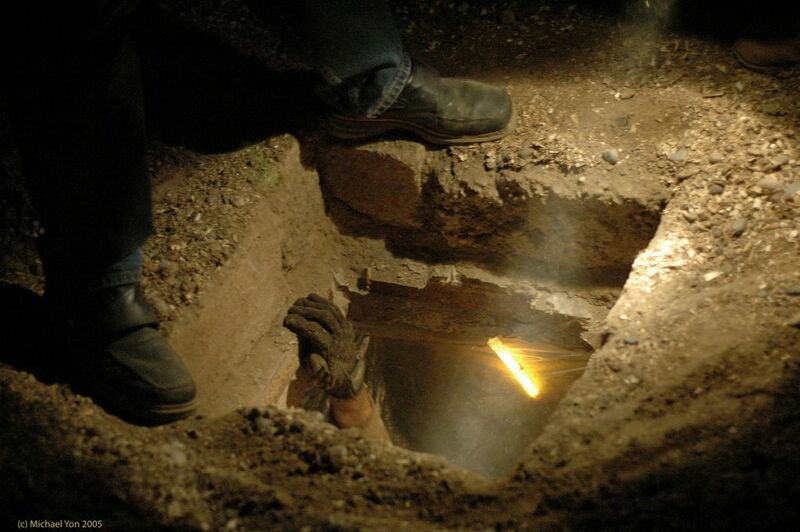 These cops had nailed the beheaders, rescued the woman, found this cache and left us to clean it up. No informed person can honestly say there is no progress in Mosul. Most of the explosives were squirreled away in a room hidden under a filthy barnyard floor. 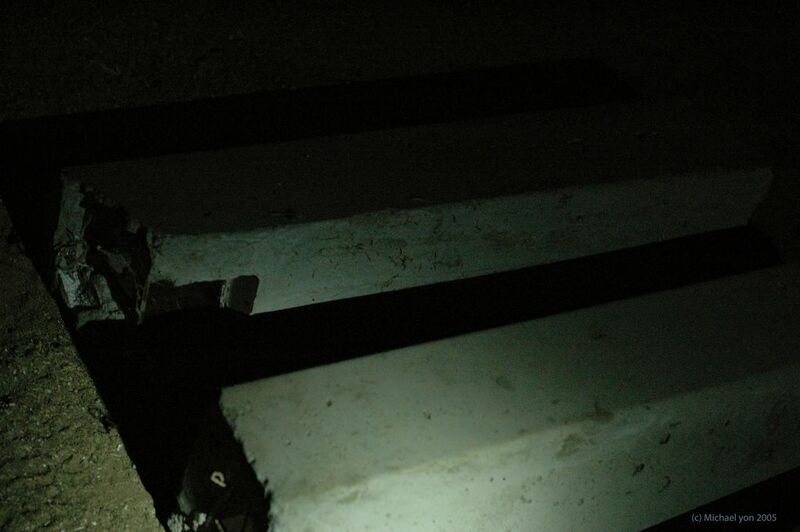 The access point was a small square hole that opened into a room about half the size of a large semitruck. It was packed with munitions. Floor to ceiling packed. Wall to wall packed. 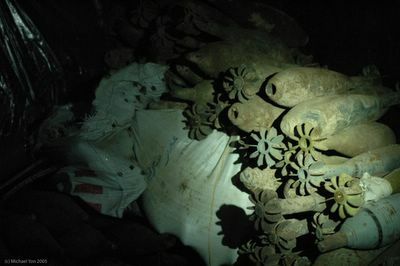 To disassemble the room, soldiers removed bombs just to stand on other bombs, so they could dig through stacks of bombs until finally reaching the floor. Then they duplicated this sequence, to create space for two soldiers to work, and finally, there was room for three. I came down, and there was Lt. Raub Nash sweating and grimy, working with one of his soldiers. 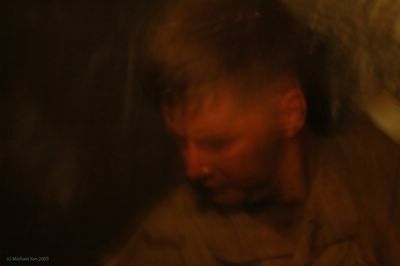 CPT Paul Carron, the B Co commander, had just emerged and was covered in sweat, filth, and grime. The leaders here all share the dirty work. The temperature down there was at least 20 degrees beyond any measure of hot. The air was filthy with dust, darkness, and the menace that wafted like a stench off all the bombs, bombs, and more bombs. I was sitting on bombs and missiles that I could not identify--there was not enough floor cleared for three men to stand. There were mortar rounds, some with fuses, some without. Some fuses had no safety pins. Some rounds had charges on the fins. There were surface-to-air missiles, RPGs, and strange munitions of various sorts. The danger was severe, but with this much explosives, it wouldn’t matter if you were in the hole or a hundred yards away; if this thing blows, game over. LTC Kurilla, who was out checking security, came in and heard this and halted all work on the site. The commander took off his gear so he could (barely) fit down the hole, and went searching for more submunitions. 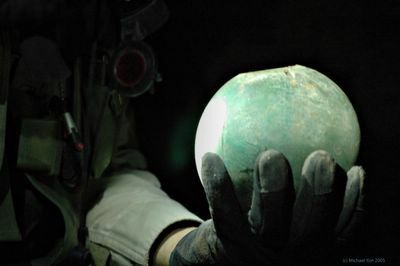 He found none, but then just kept working down in the filthy, hot hell hole handing up bombs. 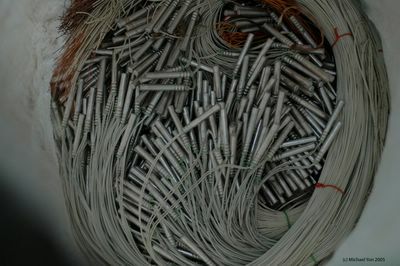 After hours of labor, the soldiers are nearly finished: Many of these bombs are fused with no safety pins. Prefabricated IEDs sometimes look like curbs. The enemy uses these to kill us on roads. 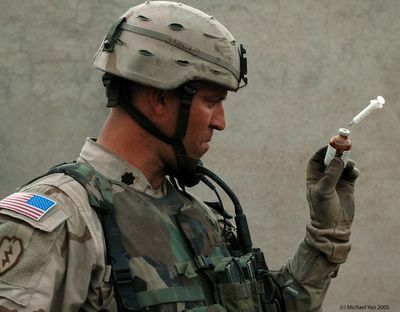 There were many tools, and various sorts of completed IEDs, such as the six large devices, each weighing hundreds of pounds, and cast inside of concrete to look like road curbing. There were over a dozen homemade shaped charges buried in the gravel, each one powerful enough to kill our soldiers. Shaped Charges: Over the past few months, the enemy has been experimenting with new ways to penetrate our armor with smaller but mathematically enhanced shaped explosives. If this were a “dead drop,” the bad guys could bury the shaped charges in the loose sand or gravel, until someone comes to pick up weapons. They could shut the gate behind them, dig through the gravel, put the bomb(s) in their trunk, and drive away. The people who worked at that bomb factory in the barn probably lived nearby in over-watch. Probably watching us rob their nest. The dire implications of that possibility were clear. Drugs: Perhaps for farm animals, or maybe for "Martyrs" who are known to get doped up and lay-up with prostitutes before killing people. Tons of explosives were hauled away, but the more unstable components had to be exploded in place. Soldiers chase off the farm birds before the detonation. ...And there was that homemade sword. I picked up the long weapon, rotated it back and forth to examine the handle and blade. The blade was jagged but the steel looked brittle. Had this blade been used to chop off heads? I raised the sword over my head and struck a rock to test its strength. The blade snapped in half.